Going to Your First Auction? Read This First! If you’re going to your first auction, leave your cash at home. Use this as an opportunity to see how auctions work. Storage auction winners will most likely be willing to talk to you if you ask them a few questions. Observe the tactics used by people who win big and pay attention to what can be improved for those who didn’t end up as lucky. Leaving your cash at home will also contain your bidding excitement. When you think you’re ready to start bidding after your first visit to an auction, bring cash. Most facilities will not accept credit, debit, or checks. After you get familiar with the auction process, it’s your turn to start bidding. Be sure to attend the viewing portion of the auction and make sure that you have a flashlight so you have more visibility in the dark storage units. Remember, you can look but don’t touch. Make sure that any unit that you bid on is a unit that you want. The worst thing that can happen at a storage auction is getting stuck with a unit(s) that you don’t want. Don’t get caught up in a bidding war. Set a limit for each unit that you see and stick to it. Bidding on every unit that is being auctioned off and trying to bid up the competition on a unit that you don’t want is a recipe for disaster. Avoid this at all costs. Leave the distractions at home (ahem, ahem your kids). The person who brings their significant other, two and a half kids and their dog to the auction has R-O-O-K-I-E written in red across their forehead. Bringing your family to a storage auction is the easiest way to make your experience unpleasant. Auctions are sometimes long, and your family can get restless, irritated, grumpy and bored. Auctions aren’t very glamorous so dress comfortably. You’ll be on your feet a lot, walking to different storage units and moving heavy items. Make sure you wear comfortable closed-toed shoes and dress appropriately for the weather. While you have no way of knowing what you’ll buy, be prepared to have a place to store your winnings. 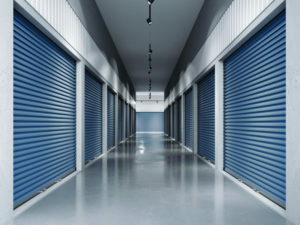 Most storage facilities will charge you a $50-$100 deposit and give you a 24-48 hour grace period to remove the items you won from the storage unit. If you fail to remove the items during this period you’ll run the risk of having to rent out the storage unit that you bought for the next month. If there aren’t any units that catch your eye or they’re selling over your budget, it’s okay. Walking away from a storage auction without a unit isn’t a failure. It’s better to not bid on a unit you’re not sure about than spend money and be disappointed with what you bought. Check us out for more information on upcoming storage auctions at STORExpress!